I needed to restock my cheese. I was planning on pizza and needed more mozzarella cheese and I was out of cheddar. I also purchased an Asian Cashew salad kit that was sooo good! If you shop at Costco I recommend it. I also bought romaine hearts, mayo, flour tortillas and sausage patties. The next stop was Winco..
Good morning! It's a crisp cool fall morning here and it feels so nice. The sun is shining and it's going to warm up a bit today. Loving the change of seasons this year. Today is 3 weeks post-op from my eye surgery. I'm healing up great! Aside from occasionally feeling my eye itch or a little muscle soreness I'm not feeling anything else. The best part for me is that I can drive again. I've had a loving, generous family that has had no problems helping me out over the last couple of years when it comes to needing to go places. And it helps I'm a homebody and love being home. However, when you loose the freedom to do things you want, when you want, it's tough to handle. I'm so grateful to the Lord to be on the other side of this now. Good morning and happy fall! I hope your week is off to a great start. It seems crazy to me that this is the last week of September already! Since my surgery the time feels like it's flying on by. Last week I had a coupe very busy days and the planned meals did not get made. Instead I pulled out some Costco orange chicken and we had that with potstickers for 2 nights. So this week has a couple repeats in the line up. Monday: Pizza and salad. I'm planning on making some homemade pizza. I'll make my recipe for 3 pizza crusts and put the dough for 2 of them in the freezer. I did that the last time I made pizza and it was so nice to have on hand. I'll make a salad to go with this. You can find my pizza crust recipe HERE. Happy Friday! 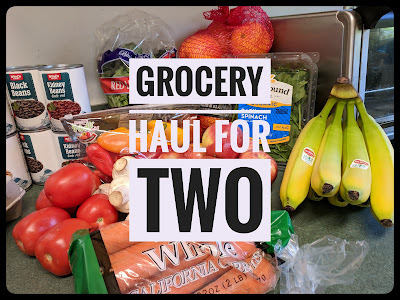 This weeks grocery haul is pretty simple. I didn't need to go to Costco for anything so it was a quick trip to Winco to get us stocked up for the week. I picked up the regular fruit (oranges, apples and bananas) and a few veggies. I still had lettuce and spinach at home so all I needed were some tomatoes, mushrooms and a cucumber. I also purchased half & half, a box of cashew milk (I love this brand! If you drink nut milks I highly recommend this one, So Delicious is the brand), 2 bottles of Gatorade, a package of cheddar cheese slices and a package of provolone slices, some pepperoni from the deli and a box of store brand pie crusts to make a chicken pot pie with. Broccoli Cheese Soup This recipe was quick to put together and tasted so good. I've mentioned before that we're having cooler weather and the feel of fall is in the air. Soups are perfect for these types of evenings. Good morning! This week has been a quiet week giving me time to get extra things done around the house. I'm now 2 weeks post-op and my eye is healing beautifully. I can't tell you how great it's been to see properly again. The double vision also caused depth perception issues and made it hard for me to judge curb height, speed bumps in parking lots and variations in the ground when I walk. It's amazing to see all of that once again. I'm still in awe!And still thanking God! Good morning friends! 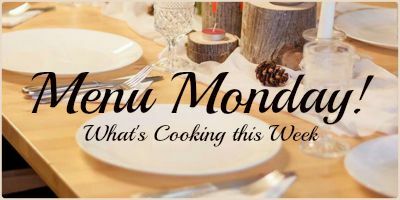 It's Monday and I have another week of meals ready to share with you. My hope is that it gives you some inspiration for your weekly menu planning. Monday: Baked spaghetti, french bread, salad. I had spaghetti on my menu last week. I finally got it made on Sunday. It was supposed to be earlier in the week but I had enough leftovers from previous meals that I didn't need to make it until Sunday. I decided last minute to put a different twist on my spaghetti and made a 9x13 pan of baked spaghetti. I didn't follow a recipe, I kind of just winged it. I'll be sharing what I did soon. As for today I still have lots of it leftover. I also plan on putting a few individual servings of it in the freezer. Good morning and happy Friday! 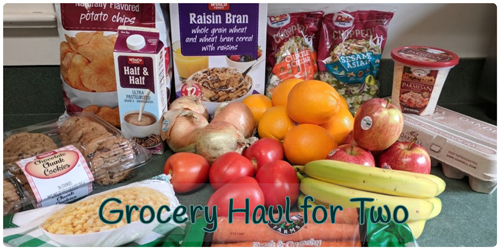 I was not able to get last weeks grocery haul posted due to recovering from my eye surgery. I'm going to give totals for last week after posting this weeks. This week the first stop was at Winco. Fruit and veggies were a big portion of the haul. Oranges, apples, bananas along with romaine hearts, cabbage, broccoli, sweet potatoes and garlic cloves. And a couple bags of tortilla chips that were on sale. Ketchup was on sale so I picked up a couple extra bottles for the pantry and grape jelly was also on sale and I did the same. I bought a bottle of Italian sweet creamer, half & half, milk, a couple yogurts, a can of biscuits, 2 bags of frozen steak fries and an 18 count carton of eggs. Good morning friends! It's a very fall like morning here in the PNW. We woke up to the sound of rain. It was a beautiful sound. It's been so dry here and the concerns of fires is ever present on the minds of those that live in this area. But the ground got a good soaking last night. Good morning and happy Monday! I'm so thankful and excited to let you know that my surgery on Wednesday was a success! My vision is no longer double and I've been recovering very well. I'll share more on Wednesday about it all but wanted you to know of the success. My eye is still sore and red and reading or focusing on a computer screen for very long can be uncomfortable. This is why there was no blog post on Friday. Today I'm back at it and ready to tackle the menu for the week. Monday: Sub sandwiches, french fries, salad – yesterday I cooked up a package of brats that I had in the freezer and made some brown rice to go with them. I have leftover brats today and we'll have those in sub sandwich rolls. I recently purchased an air fryer and I love it! The french fries will be made in that. This week is a little up in the air. I have my surgery on Wednesday and don't really know how I'll feel or what I'll be up to doing afterwards. So I'm keeping the second half of the week easy and flexible. Monday: BBQ burgers and hot dogs. My daughter and her family will be coming up for the afternoon/evening to spend the Labor Day holiday with us. 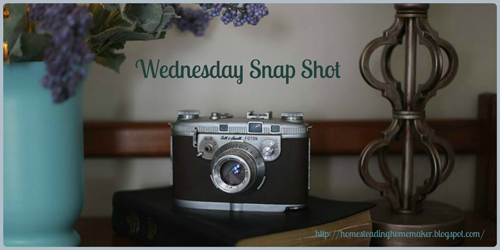 Wednesday: Surgery day – It will be leftovers or we'll pick something up on our way home from the hospital. Thursday: My hubby will probably take a meal that I have for him in the freezer to work and I'll have something simple like a salad or sandwich. Friday: Broccoli cheese soup, dinner rolls, salad - I made chicken broth from my rotisserie chicken last week and will be using that to make an easy soup.